Coffee milk is one beverage that is favored by many teenagers todays. Based black coffee mixed with milk to make this drink is widely available in the coffee shop. Way of presentation is divided into two, cold and hot. Hot, served in a ceramic cup and extra cream. At an affordable price and good taste, makes this drink a favorite of many people, especially teenagers. In my country, coffee milk with hot serve is popular among adults and teenagers. Available in many store and sold pack's, you can buy anytime you like without having to go to the coffee shops. Coffee, can make a bound among friend and familiy, they can chit and chat without limit of age. 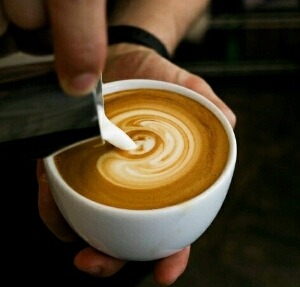 Coffee also can be a good way to announce business opening, because can gathering people from all different status. If you believe coffe can makes a difference, now is time to coffee break, cheers. 0 Komentar untuk "Coffee Milk and Bound Among the People"